April 4, 2019 - Pakistan has fired up its first major power plant fueled by one of the world's largest coal reserves in the scorching Thar desert, opening the gates for domestic coal production to compete head on with imported LNG in its power mix. The South Asian country has been battling severe power shortages for years, and expects to ramp up the share of coal in its electricity mix to 30% by 2030 from as little as 1% in 2014, driven mainly by its Thar coal fields. Pakistan's delayed exploitation of its coal reserves comes at a time when developed economies are pulling back from coal-fired electricity. It also comes just a few years after it introduced imported LNG in its fuel mix with the region's first floating storage and regasification unit or FSRU terminal at Port Qasim in Karachi. 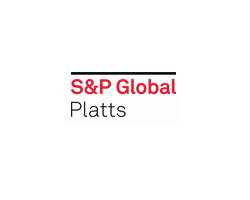 LNG imports were a "savior fuel" for Pakistan with an increasingly vital role in its energy sector, Atif Sajjad, Joint Executive Director of Finance at the Oil & Gas Regulatory Authority, said at the S&P Global Platts Asia Refining Summit in Singapore. That's because falling natural gas production and expensive oil-fired power have taken their toll on the country's fragile economy. By 2016, Pakistan was the 19th-largest user of natural gas in the world but its gas production had stagnated at about 4,000 MMcf/day, and its gas shortage doubled in five years to 2,000 MMcf/day in fiscal 2015, according to the World Bank. Meanwhile, the country added 1.2 GW of oil-based power generation between fiscal 2005 and fiscal 2014, pushing its oil import bill to $11.8 billion in 2015, roughly a quarter of its trade bill, the bank's data showed. As of June 2017, 33.9% of its power generation capacity came from natural gas and LNG, 25.9% was oil-based and 27.2% was hydroelectric, with coal, nuclear and renewables accounting for the rest, government data showed. Its total installed electricity capacity is around 28,000 MW. Pakistan's initial coal-fired power plants at Port Qasim and Sahiwal in Punjab province were designed for imported coal, which pushed its trade deficit higher. Wind and solar energy are yet to gain traction despite renewables becoming the cheapest source of power in neighboring India. If a country's fossil fuel reserves are in the desert, should it build a solar farm or dig a mine? It's a tough question for Pakistan, where the immediate energy future will be a contest between the Thar's coal reserves and LNG imports. Interestingly, Pakistan's coal and LNG ventures are both driven by Karachi-based conglomerate Engro Corp.
Its subsidiary Engro Powergen Thar Ltd started supplying electricity from a 330 MW power plant at Tharparkar, a city in the southern Sindh province, in March. "This is a historic moment for us where Engro has not only delivered on its promise of realizing the Thar dream but technically demonstrated proof of concept that Thar coal is suited to produce indigenous energy," chief executive Ahsan Zafar Syed said. The power plant will utilize 3.8 million mt/year of coal supplied by Sindh Engro Coal Mining and the project will result in annual foreign exchange savings of up to $1.6 billion, he said, adding that the second unit of 330 MW will start in April. Sindh Engro, a joint venture of Engro PowerGen and the provincial Sindh government, is developing the Thar Block II coal field. The Thar region has total lignite reserves of 175 billion tons that can produce 100,000 MW of electricity for over 200 years, documents showed. It is unclear how much of this is proved reserves, but to put this in context, the US had the world's largest coal reserves of 251 billion tons in 2017, according to BP's energy statistics. "We expect Pakistan to increase its coal-fired power generation over the next decade, which would increase the share of coal in the energy mix from 10% in 2018 to 13% in 2030," said Kaushik Chatterjee, Senior Analyst at Wood Mackenzie. He said all the fuels will complement each other in Pakistan's energy-starved economy, but cheaper domestic lignite and hydroelectricity would be preferred over expensive imported gas, which is hobbled by the shortfall in regasification capacity and overall gas infrastructure. Engro's Thar project comes under the China Pakistan Economic Corridor with $50 billion of proposed investment in infrastructure projects, and underscores of how China's Belt and Road Initiative is impacting the energy landscape. The scheme lists 15 priority energy projects for Pakistan, covering 10,000 MW of generation capacity worth nearly $22 billion. The bulk of the capacity is coal-fired, but also includes some hydroelectric, renewables and transmission projects. "Pakistan desperately needs to increase its supply of electricity," said Philip Andrews-Speed, Senior Principal Fellow at the Energy Studies Institute of the National University of Singapore. He said the Engro project is sub-critical, which is a relatively inefficient technology compared with imported coal projects, but "the ultimate accountability for 'green' investment lies with the host government as they possess the levers to control the nature of large infrastructure projects." Coal-fired stations can be constructed relatively easily, and so coal does form a large share of the power generation portfolio of CPEC, Andrews-Speed said.